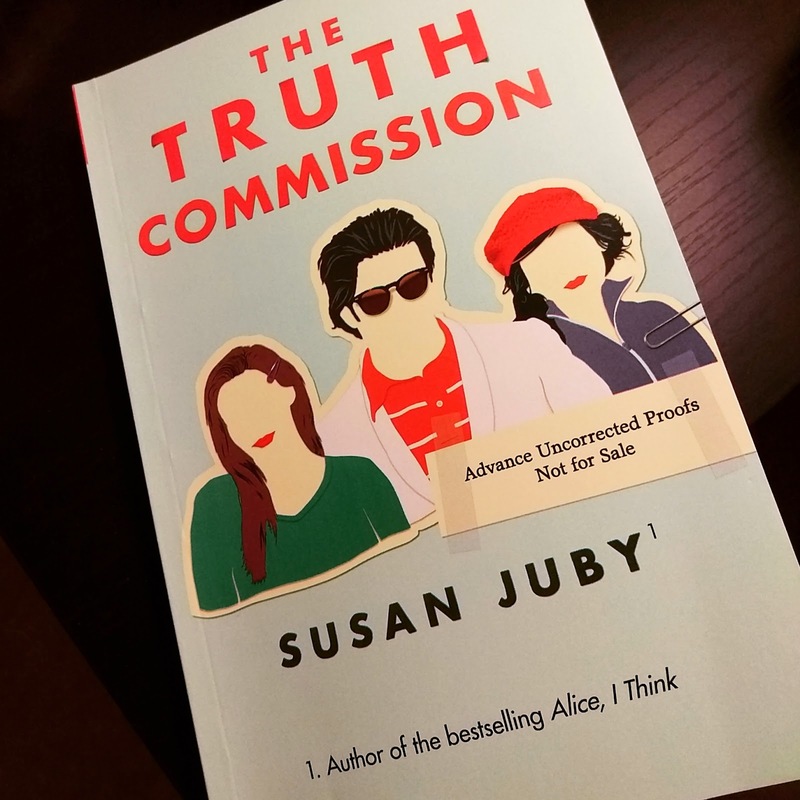 I won a copy of The Truth Commission from a Goodreads first reads giveaway. To be honest, when I entered the contest, I had no idea what the book was about. I didn't even realize it was a YA book until I received it. It's funny how things work out. The Truth Commission is written a bit different in that it is a fictional story written as a piece of creative non-fiction. Normandy Pale is the lead character and the author of the story. The book kicks off with an Author's Note describing Normandy's project and why she writing about the occurrences in her life from September 2012 - November 2012. It also explains her use of footnotes. Footnotes are scattered throughout the book and are meant to address her teacher who is editing her work chapter by chapter. In my opinion the footnotes were the best part. They were laugh out loud funny, extremely witty and provided some additional context to parts of the book that made you ask, "WTF?". Normandy is a student at an elite art school living in the shadow of her famous sister, Keira. Keira made her fame by creating a graphic novel whose lead characters grossly resemble her family. Exposing and altering their habits and everyday lives in the worst way possible. Normandy also explains how the Truth Commission came to be. It was formed by Normandy and her two closest friends Dusk and Neil. Their exploits and discoveries from interviewing classmates and teachers also lead them to deeper explorations in their own lives. It was also a nice surprise to discover that the story is set in Nanaimo, British Columbia. I was able to appreciate some of the little hints of Canadian culture and it allows me to cross off another square on my Random House Canada #ReadingBingo card. Overall, The Truth Commission was a fun and delightful read, with some twists and turns that readers will enjoy. I'm very happy that I got a chance to read it and hope that some of you will give it a try.